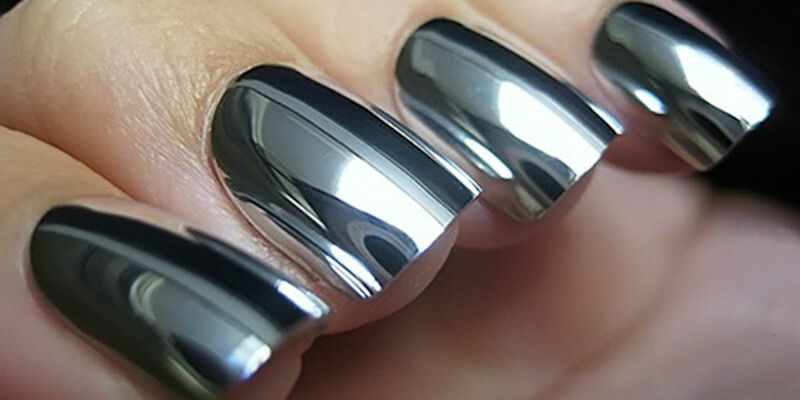 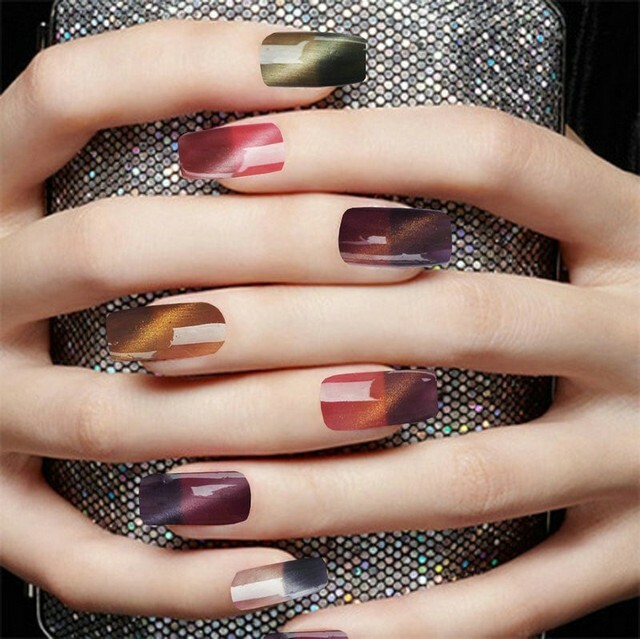 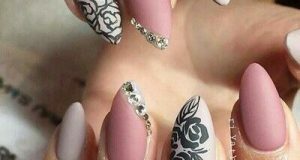 Nails fashion is full of new and new every day new trendies and new styles, one of these exciting fashions that proliferated in recent times is the Chrome Nails or Mirror nails. 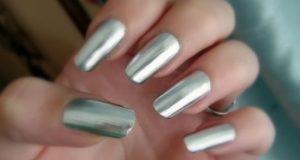 As it name say, Mirror nails is characterized as reflective objects and takes the form of a mirror like sun glasses with lenses, mirrors. 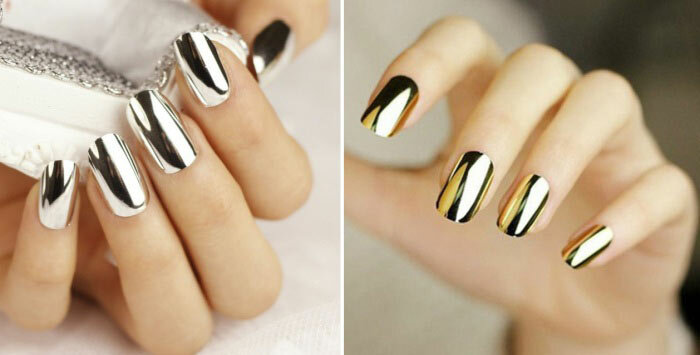 Also called metallic nails , it also gives the advantage of being the nail sparkling spangle in sunlight and match colors with different outfits or choice of clothing. 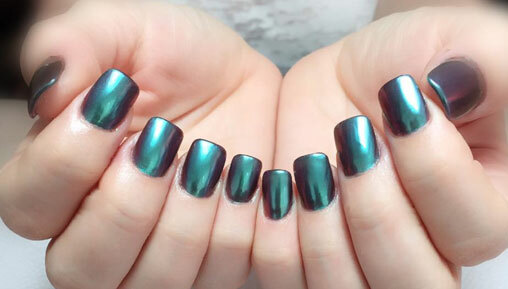 Despite the reputation for those hooray of silver and gold color, but there are many fine options degrees of different colors As blue, violet, green, all of which look very elegant and we have seen many of the stars wear them. 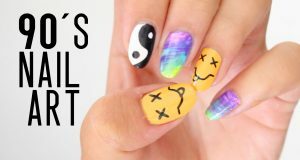 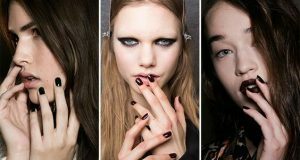 If you’re finding this trendy too bold for you, you can apply a quiet manner in order to reflect your quiet and kind personality, such as coloring one fingernail only with mirrors paint and the rest of the nails with another color fits it. 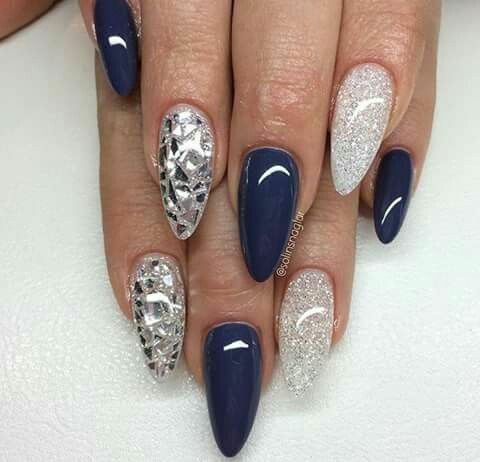 You will find below styles in the pictures you can do. 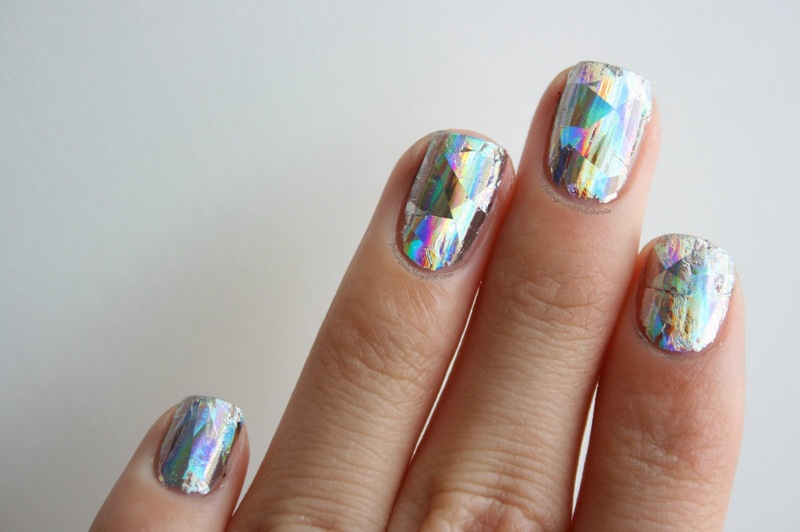 Here are a selection of the most beautiful colors of mirrors nail polish which you can draw inspiration them to choose new style.